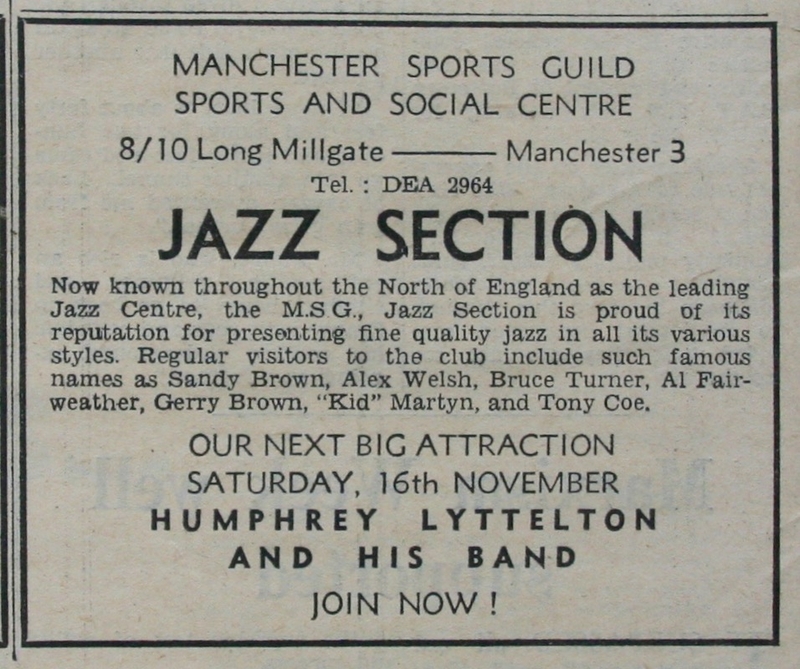 It is thought that the first major concert at Victoria University of Manchester's Main Debating Hall was Humphrey Lyttelton and his Band in 1963 - the year the Students' Union first started hosting and promoting concerts.The exact date is unknown and evidence of this performance has proved difficult to find, despite the fact that the thriving jazz scene in Manchester is covered extensively in the Manchester Independent newspaper, written and edited by University of Manchester students. A number of jazz events are reviewed by students in the Manchester Independent in 1963, including Duke Ellington at the Free Trade Hall and an all-night CND jazz rave at Beat City on Fountain Street. There is also an advert in the Independent for Lyttelton playing in at the Sports Guild Sports & Social Centre, Long Millgate, on 16 November 1963. The second concert at MDH is thought to have been bandleader and comic Ray Ellington, also 1963.